At MATA we believe education and quality training is vital to ensuring the highest standards of surgery. Therefore we pride ourselves in pioneering new techniques and collaborating with the best talent in the medical world. 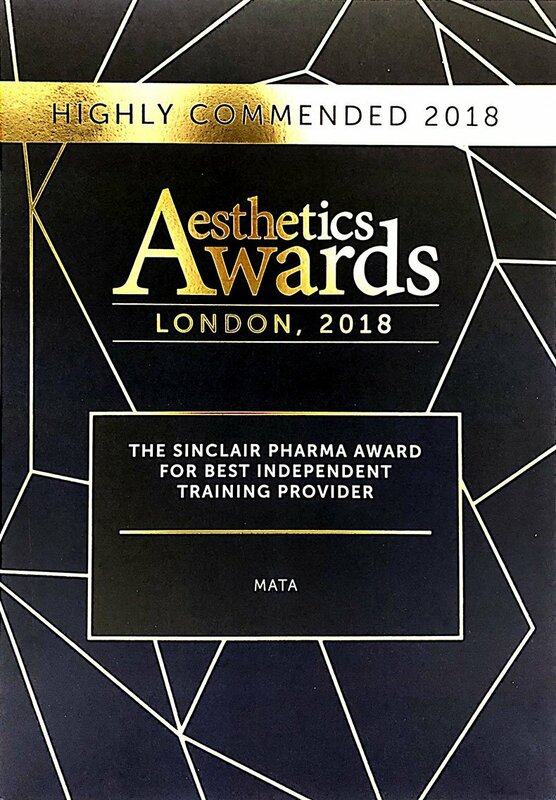 Our new qualification, the Postgraduate Award in Applied Clinical Facial Anatomy and Complications is the result of a unique joint venture with the multi-award winning Dalvi Humzah Aesthetic Training. This postgraduate qualification is written to the highest academic standards and mapped to the content and competencies developed by Health Education England (HEE) and the Joint Council of Cosmetic Practitioners (JCCP). It is a Level 7 qualification, awarded by EduQual. The qualification is delivered via ‘blended learning’ meaning you will join the MATA e-learning community for the knowledge modules of the qualification, and enjoy face-to-face clinical and taught sessions with expert tutors and educators. Access to clinical knowledge modules delivered via the MATA learning community. Two days of face-to-face clinical teaching and assessment including written an examination paper and Objective Structured Clinical Examinations (OSCEs). Awarding Body examination registration fee. Post course work requires completion of two reflective portfolios – structure and guidance will be provided. Note: Route 1 does not include additional wet-tissue teaching. This course is open to those who have previously attended either of the Dalvi Humzah Aesthetic Training courses, namely the Advanced Anatomy or Complications Management Courses. Face-to-face clinical teaching including mannequin and wet-tissue specimens. Note: Completion of route 2 will enable learners to apply for Route 1 and enrol for the qualification. Two and a half days of face-to-face clinical teaching including hands-on sessions on mannequins and wet-tissue specimens. Assessment materials including written examination papers and OSCEs. For those considering Routes 1 or 2, you will have covered a significant amount of the underpinning clinical knowledge through your attendance on the Dalvi Humzah Aesthetic Training courses. Therefore you are likely to be well prepared for the written assessment and OSCE station assessment. We will give you a range of assessment dates, so you can choose the days that suit you best and fit around your working life. You may wish to start completing the reflective portfolios prior to attending the assessment days, and we will provide examples of how these constitute meaningful, critical reflection at postgraduate level. The qualification is open to those holding an appropriate Level 6 qualification, i.e. degree, in a medical or dental related specialist field. Typically students will be registered doctors, dentists, nurses or prescribing nurses. To gain the qualification you need to successfully complete written assessment papers OSCEs. You are also required to complete two reflective portfolios covering your personal practice with critical reflection on the prevention and management of complications arising from cosmetic interventions. Please be advised that some learners find critical and meaningful reflection challenging but guidance and examples will be provided to support you. The knowledge modules are accessible at any time via the MATA self-paced e-learning community. If you are ready to attend the assessment days you will take examination papers on those days and complete your reflective portfolios post-course. 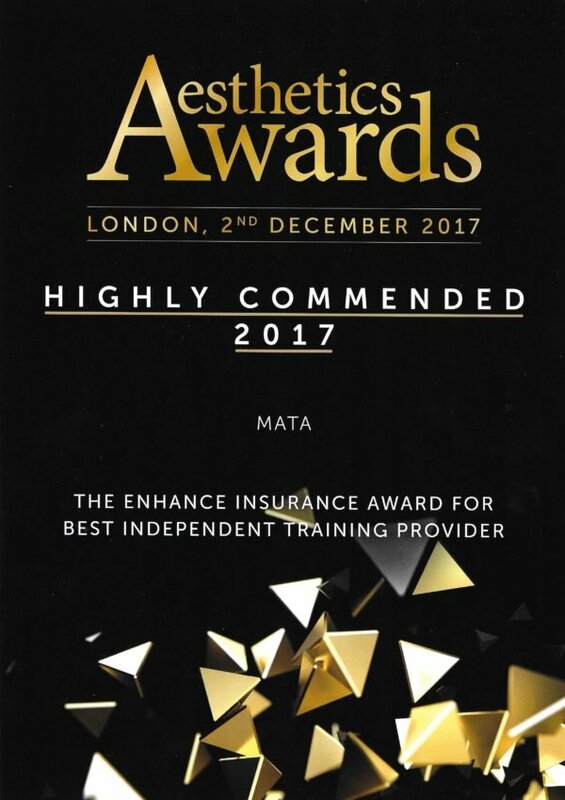 From receipt of all of the assessed components of this qualification MATA aims to mark, verify and award the qualification within 6 months (this might vary at different times of the year). MATA will always keep in touch with you to update you on the status of your work and qualification. Venues in London and other UK locations will be offered. Please contact the MATA office for further details.